What Happens at NamesCon … Belongs on the Internet! 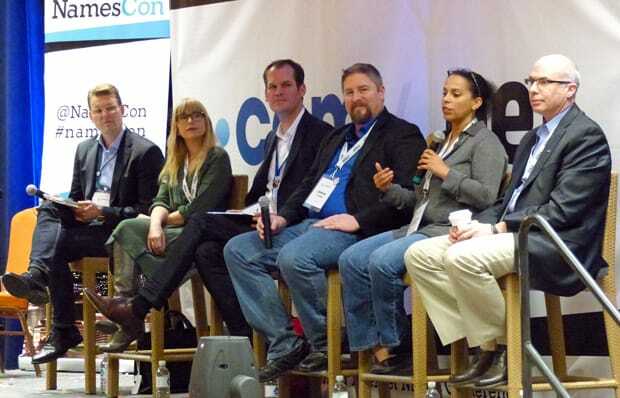 .ME loves domain names, so we headed to Las Vegas, Nevada to NamesCon, the largest domain name conference, to speak on a panel of ccTLD experts about where we think the market is headed. NamesCon is the largest gathering of the domain name industry combining registrars, registries, policy, domainers and service providers. Held January 11 – 14, 2015 at the Tropicana Hotel in Las Vegas, NamesCon attracted over 900 attendees and 150 speakers in its second year. We love NamesCon because it gives the DNS community a chance to get together and learn from each other, away from the structured environment of an ICANN meeting. The sessions are held on separate tracks to cover a wide variety of interests but also to allow people from different parts of the business to drop in on talks that are outside of their area of expertise. It is kind of a domain name utopia. Many of the participants (including the .ME team) are actively engaged in the sessions and content as panelists and moderators with topics ranging from WHOIS, to domaining, to building your brand in China and beyond. The audience was among the best and brightest members of the domain industry, one of the sessions had a confetti cannon – really, this was a five star event. The unifying theme of NamesCon was on where the domain market is headed in light of all the recent changes to the namespace. New TLDs have been released, ccTLDs are rising and new markets are opening up. .ME was invited to participate in the Global ccTLD Leadership Roundtable, a gathering of operators of some of the most successful ccTLDs. The focus of the discussion was on the growth of popular ccTLDs in light of the new gTLD release and our fellow panelists were Jörg Schweiger, CEO of DENIC (.DE Registry), Tobias Flaitz, CEO of Sedo Holding, Dave Chiswell of CIRA (.CA Registry) and Crystal Peterson of Neustar (.CO / .US Registry). NamesCon organizer Jothan Frakes moderated the session. The five of us spoke about our individual successes over the last year and what we believe the ccTLD namespace will look like. We love any chance to talk about .ME domains and being able to share our story and give advice is something we always look forward to. We were proud to be on stage with so many country code operators who share our passion for reaching out to the rest of the world and helping our customers to connect. A big thanks to Jothan Frakes, Jodi Chamberlain and Richard Lau for organizing the event and inviting us to participate.